Diversity is when people celebrate other people's cultures. Wee learnt that we don't discriminate against other people because of their cultures because it is not nice. I like how your pic collage is colourful and shows why it is important to relate to others and working in a group!!!!!!!!!!!!!! 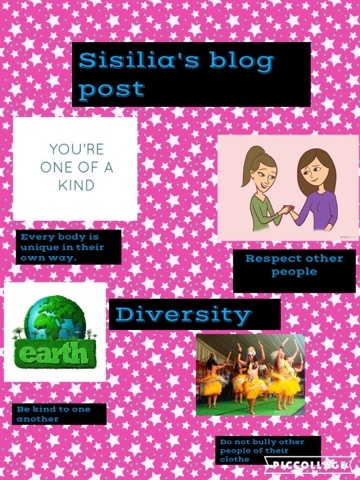 This work of yours is so beautiful it also shows what you now about diversity you can teach someone about diversity.